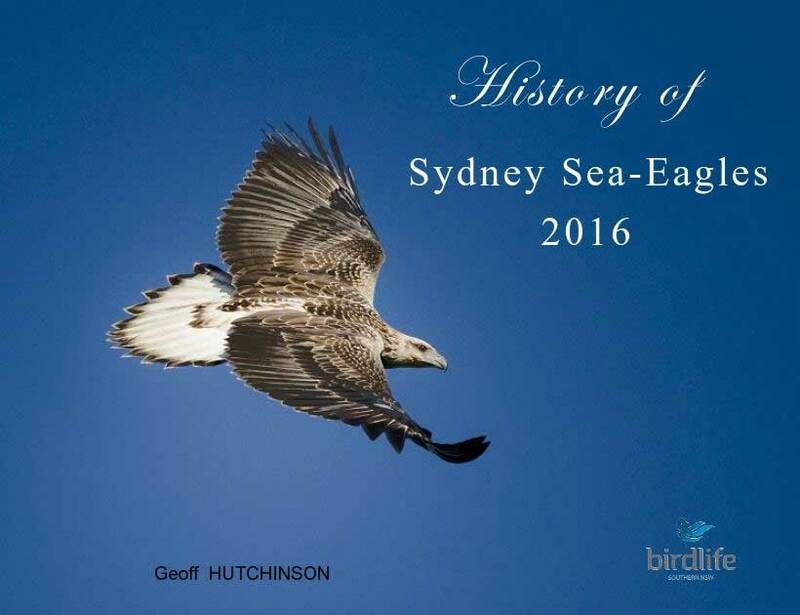 The year (2014) started with the Sea-Eagles doing some interesting out-of-breeding-season behaviour that we had not observed before. They were visiting the 2013 nest (nest #2) about every two weeks, not bringing sticks but just rearranging the material that was there. Is this regular behaviour? The first stick was observed in early April. 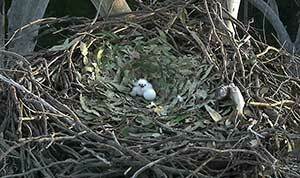 The EagleCAM team removed the cameras from the 2013 nest tree to undertake maintenance and upgrades. To continue monitoring the movements of the Eagles we installed a camera on a tripod at ground level. By the end of April we noticed that the visits by the adult Sea-Eagles to the nest had ceased. 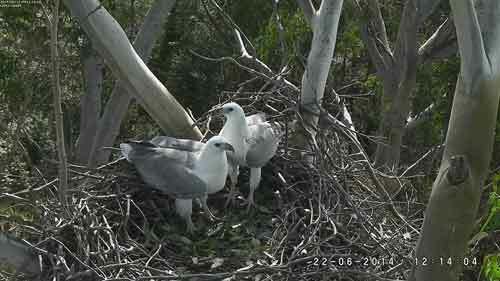 There was one visit by a juvenile Sea-Eagle perching above the nest in late April. We started to investigate the possibility of the Sea-Eagles building a new nest within the Reserve. It took three searches over a number of weeks to locate the new nest about 75 metres from the #2 nest tree. This new nest was being constructed in an Iron Bark tree, unlike all the previous nests, which were in smooth-barked trees (Blackbutt & Scribbly Gum). The nest was fairly well advanced so we monitored the activity for a few weeks with the ground camera and the decision was that the Sea-Eagles were committed to this new nest. In mid-May we installed the cameras, ready and hoping for a good season. Eighty metres from the new nest is the Armory train storage shed, in late May work had just commenced to replace the asbestos roof, with many trucks and cranes. Workers removing the old roof and installing a new one. This may have influenced the Sea-Eagles to abandon the new nest (#3) and return to the 2013 nest where they continued their renovations. In early June we installed a ground camera to monitor their activity at nest #2 (2013 nest). After many weeks of watching both nests it was decided in mid-June that the camera should be moved from nest #3 and installed on the nest #2 (2013) tree. This was achieved with little disturbance to the Sea-Eagles, they returned to the nest after a few hours and were observed mating a short time later. The visits to the nest by the Sea-Eagles increased to up to 20 times per day, the male bringing sticks and food for the female. The female bringing leaves. 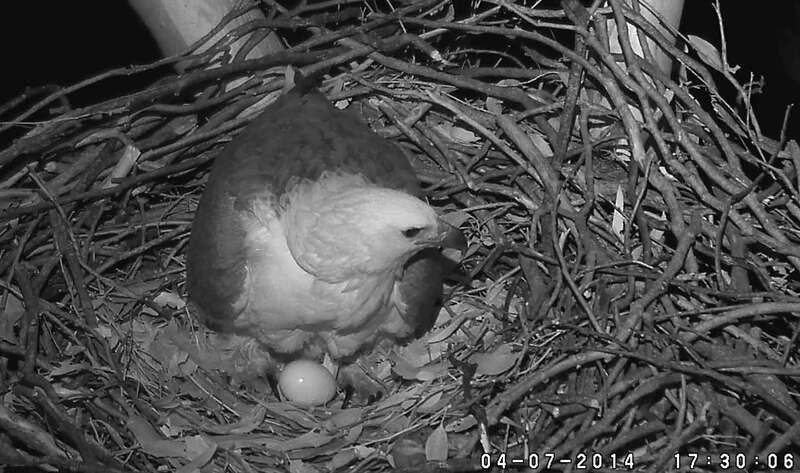 The first egg (SE13) was laid on 4 July 2014 at 5:28 pm. The second egg (SE14) was laid on 7 July 2014 at 10:56 pm. About 77.5 hours after the first. The first pip of the shell of SE13 was seen at about 4:50 pm on 12 August 2014 and SE13 finally emerged out of the shell at 6:17 pm on 13 August 2014. That was about a 25 hour struggle. 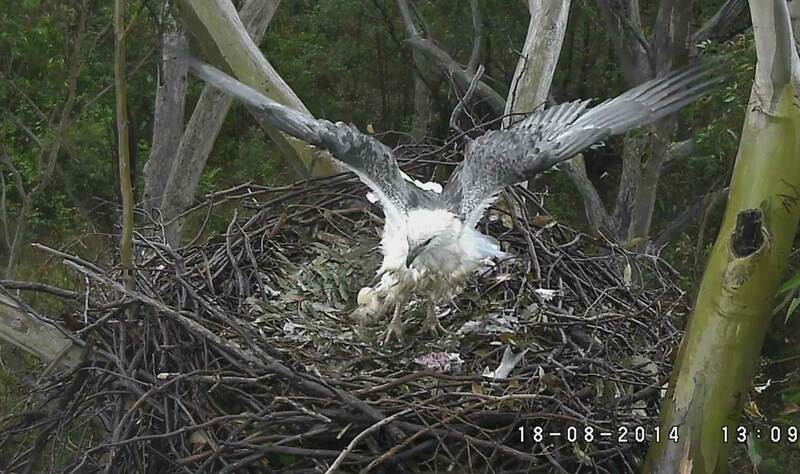 The first feed for SE13 was at 12:12 pm on 14 August. After about 42 days from SE14 being laid it was presumed that the egg would not hatch. At about three weeks of age, it was noticed by the Ustream viewers that SE13 was have problem with swallowing food. Everyone kept monitoring progress closely but it was clear SE13 was having difficulties. 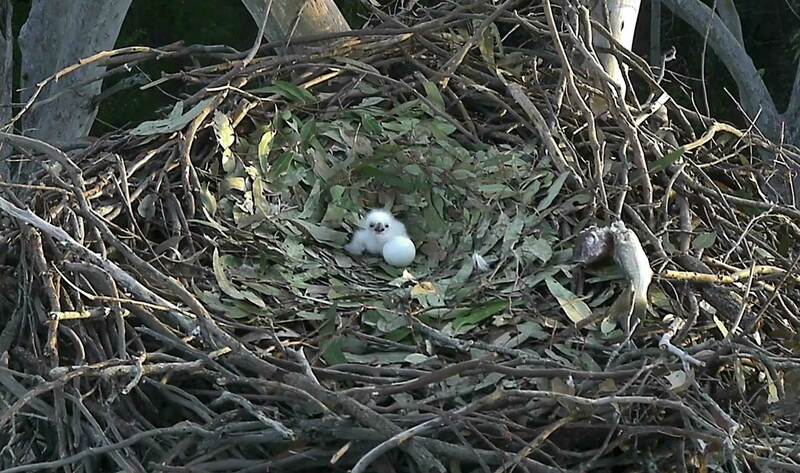 On 12 September 2014 at 30 days old, SE13 sadly died on the nest. Permission was sought from Sydney Olympic Park Authority and National Parks & Wildlife to remove SE13’s body for testing, this was granted and was removed from the nest on 13 September 2014. For the 30 days that SE13 was alive, 20 of those days were raining. There was only one period with two days in a row that it did not rain. SE13’s body was taken to the Animal Referral Hospital where a necropsy was conducted and it was found the SE13 had very advanced lesions in the throat consistent with trichomoniasis also known as ‘frounce’ or ‘canker’. This disease could have been caught from a pigeon, which is a common carrier of this disease, and a common food source for young Sea-Eagle chicks. The second egg SE14 was X-Rayed and it showed bone and feather of an approximately half developed embryo. 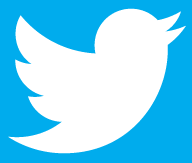 It is not known why development ceased.